St Mark's Church is in Church Place, Swindon, Wiltshire, England. It is an active Anglican parish church in the deanery of Swindon, the archdeaconry of Malmesbury, and the diocese of Bristol. Its benefice is united with those of St Aldhelm, Swindon, St Luke, Swindon, and St Saviour, Swindon, to form the benefice of Swindon New Town. The church is recorded in the National Heritage List for England as a designated Grade II listed building. Charles William Willcock married Kate Louisa Waite, 1st Quarter 1894, Highworth, Wiltshire, England. Vol 5A, Page 27. St Marks Church, Swindon, Wiltshire, England, Marriage Register, Charles Willcock and Kate Waite. St Marks Church, Marriage Register, Page 162, No. 323, 6th February 1894, Charles William Willcock married Kate Louisa Waite. 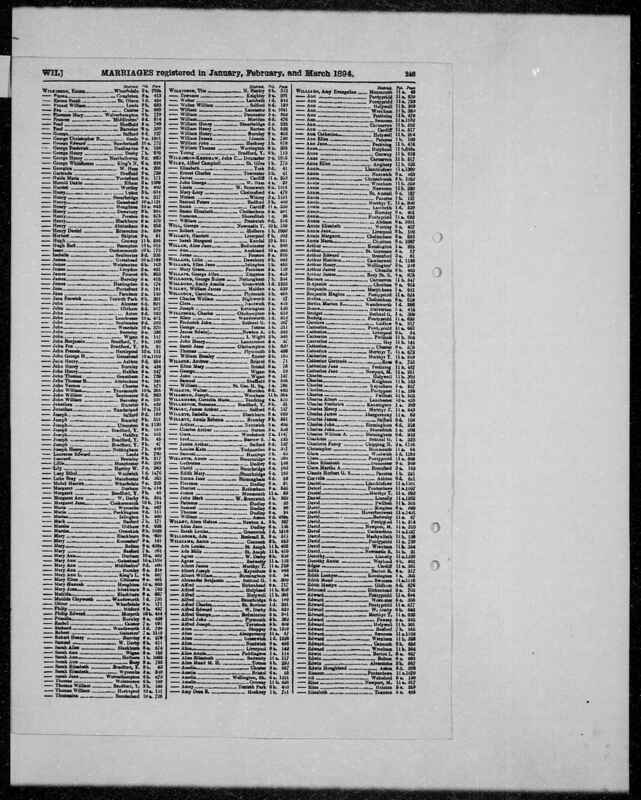 [S47] 1901 Census of England and Wales, The National Archives, England (Reliability: 3), 1901. [S68] 1911 Census of England and Wales (Reliability: 3), 1911. [S357] England & Wales Marriages 1837-2008, Findmypast, Vol 5A, Page 27 (Reliability: 3), 1894. [S359] British Army WWI Pension Records 1914-1920, 3 (Reliability: 3), 15 Sep 1914. See military service record for Charles William Willcock, page 3, item 11. Particulars as to marriage.